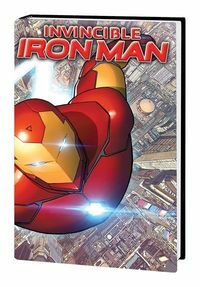 First there was Tony Stark, now there is Victor Von Doom and Riri Williams; no matter which is your favorite iteration of Iron Man, we've got just the Iron Man comic for you at Things From Another World!. In addition to the newest Iron Man comics and a wide selection of Iron Man graphic novels, you'll find Iron Man statues, actions figures, and more! You don't need to be Tony Stark to afford these items either, as all of our Iron Man merchandise is 10 - 25% off! Want To Experience Ironheart? Start Here! First there was Tony Stark, now there is Victor Von Doom and Riri Williams; no matter which is your favorite iteration of Iron Man, we've got just the Iron Man comic for you at Things From Another World!
. 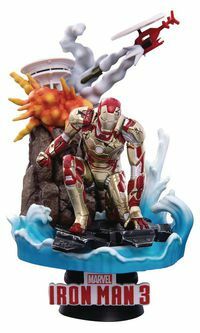 In addition to the newest Iron Man comics and a wide selection of Iron Man graphic novels, you'll find Iron Man statues, actions figures, and more! 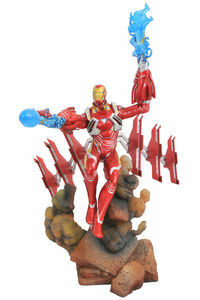 You don't need to be Tony Stark to afford these items either, as all of our Iron Man merchandise is 10 - 25% off! --- Diamond Select Golden Books IDW Publishing Image Comics Koto Inc. Marvel Comics Marvel Knights Mezco Schleich TASCHEN AMERICA L.L.C. Legal Notice: Entire contents trademarked (® or TM) and copyrighted (©) 1986-2019 by Things From Another World, Inc. and respective copyright and trademark holders. All rights reserved. Page rendered at 2019-04-20 13:54:24 in 0.413 seconds.